Our staff of professional mowers are fast, efficient, and capable of manicuring your lawn regardless of size, thickness, or terrain. 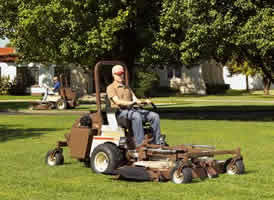 With Hammonds Custom Lawn Care, your lawn will always have that golf course look. Call us today to setup an initial consultation at 618-925-5397!